Beyond the smothering heat of a typical Miami Saturday, the joyous shouts of the Lotus House children could be heard. Rainy weather reports had made attempts at deterring the fun, but the sun persisted—luck was on Lotus House’s side of the field. 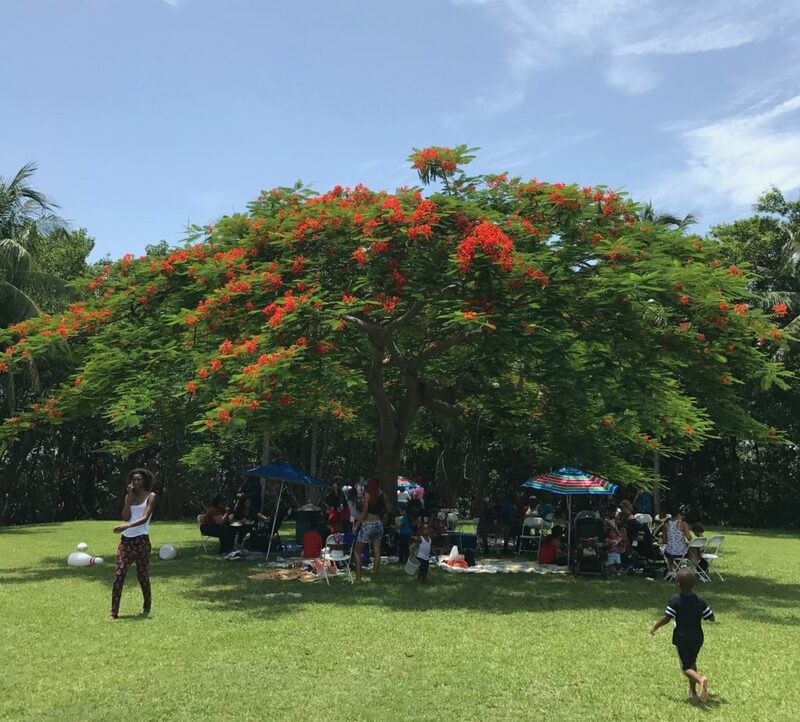 An atypical Saturday for Lotus House guests, the field day event took place at the far end of Coconut Grove’s David T. Kennedy Park, the shady territory marked by a towering tree. The space was large and the decoration modest, but the energy was high. Children, ranging from newborns to preteens, scattered the field, choosing the inflatable kiddy pool, the giant bowling game, or the ring-toss as their personal playground. “I love field day, I’m with my best friend and we get to play all day,” said one Lotus House child. The adults split their time between the games, the volunteer-managed buffet, and the tree-lent shade. But even the time spent lounging was not wasted: “let’s go around in a circle, and each person say your name and what the best part of being a woman and a mother is for you,” said a Lotus House volunteer. The answers varied, “the best part of being a woman is I’m powerful,” said one Lotus House guest, “being a woman means I can do anything,” said another. That sentiment was consistent in both the conversation and the day in its entirety, field day was more than just fun and games—like most events at Lotus House, it was bonding, it was growth, and it was family.